The LSAT used to be offered only four times a year. But now, the Law School Admissions Council (LSAC) is changing things up by expanding the number of LSATs administered every year. Let’s take a look at the recent changes to the LSAT and a few pointers for deciding when you should test. Starting in 2018, LSAC began offering the LSAT six times a year. This was a big change from decades of offering it only a few times a year. But beginning in 2019, LSAC is planning to offer students even more opportunities to take the exam. The LSAT will be offered seven times in 2019—in January, March, June, July, September, October, and November. And that’s not all, the first peek at the 2020 schedule shows even more LSATs may be offered in the future. The current LSAC schedule shows that the LSAT will be offered (at least) in January, February, March, and April in 2020. While that’s the extent of the scheduled dates at this time, it looks likely that the LSAT could be offered every month that year. That would mean even more LSATs for you to choose from! So, what does all of this mean for test takers? You have even more options to take the exam and to retest if needed. You’ll also have a better chance at getting to test at your preferred test center. All good news! When there were only four exams per year, you only had a few options. This often made it necessary to fit your schedule around the administration. Now you can look at your schedule and your timeline for your applications to law school, and determine which administration best fits your needs. One more consideration when you’re deciding which LSAT to take. 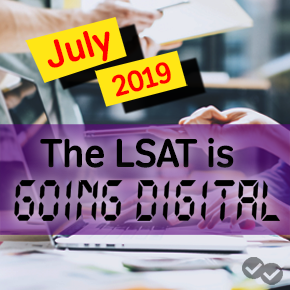 Starting in the fall of 2019, the LSAT is going digital! So, plan accordingly. If you love pencil and paper, sign up soon. With an ever-increasing number of LSAT administrations, test takers are in luck. You should spend some time looking at all the test dates and decide which one is best for your schedule. Keep in mind when you are planning to apply to law school and be sure to leave enough time to retest if you don’t get the score you wanted on the first try. Pick your test date soon and register. 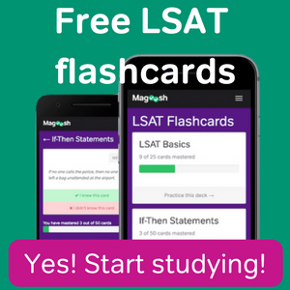 With so many options, it’s easy to get overwhelmed, but once you know your test date, you’ll be super motivated to follow a solid study plan and rock the LSAT.